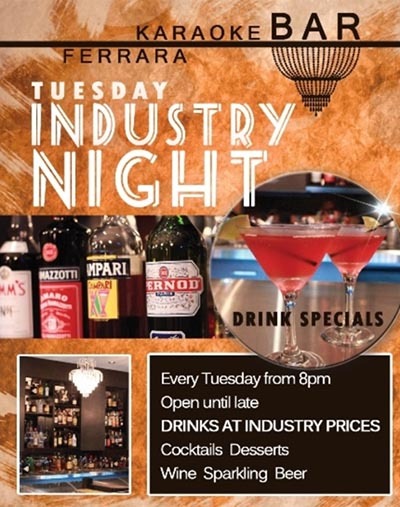 Tuesdays are Industry Night! We have drinks at industry prices, including delicious Cocktails. 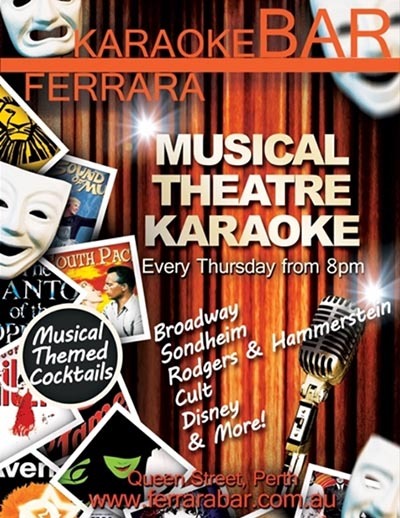 Thursdays from 8pm is Musical Theatre Karaoke with a Broadway themed cocktail menu.